Are you like me, and can hardly believe we are already over the half way point of January? Of course I know it is a sign of getting old, (everyone keeps reminding me that) but for some reason I feel like the world turns a whole lot faster these days…maybe its just the pace of our modern lives. Before we will know it, it’ll be time for our national public holiday in celebration of Australia Day. 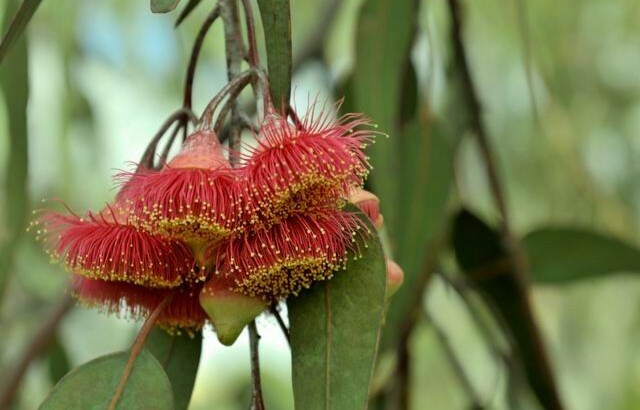 This is certainly a sensitive subject for our indigenous Australians, steeped in the history and heartache of the day, so instead of celebrating the day itself, I though that for this weeks blog, we could celebrate some of the stunningly beautiful native bloom; Eucalyptus. 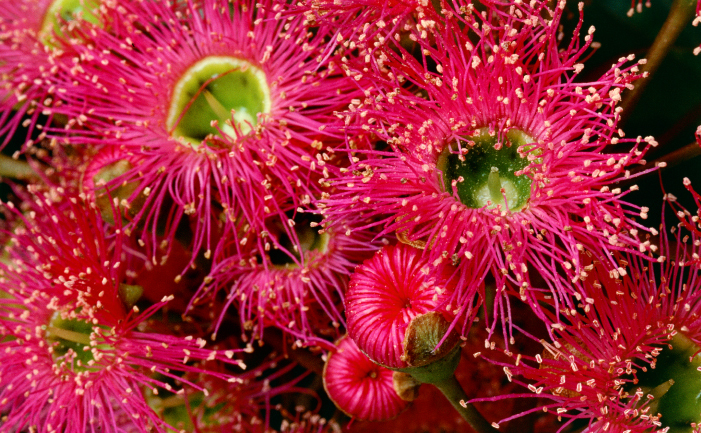 Not all Eucalyptus flowers, but the ones that do, certainly pack some punch! 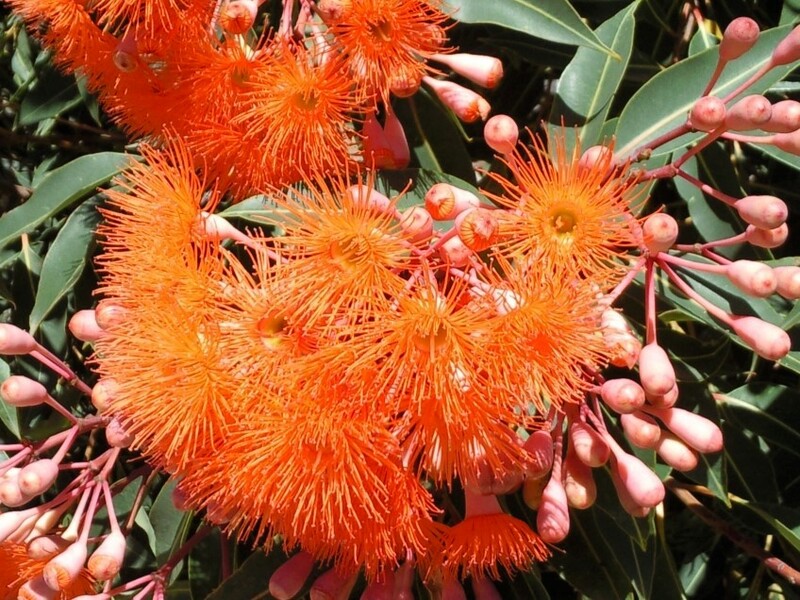 Flowering Eucalyptus is available in vibrant red tones, spectacular pinks and watermelon tones, stunning whites, fiery orange tones as well as lemons and limes. Eucalyptus are often regarded as a large tree, and many would discount them for their gardens at home based on this misconception. These days though, many of them are grafted, and therefore can actually develop into much smaller trees. After many years of breeding a range of beautiful small trees are available suitable for pots or gardens. Many of these crosses have tropical genes so are well suited to the humidity of Northern NSW and Queensland. They are drought and frost resistant once established, but be careful in the first few years as they may not be able to tolerate the frost while young. 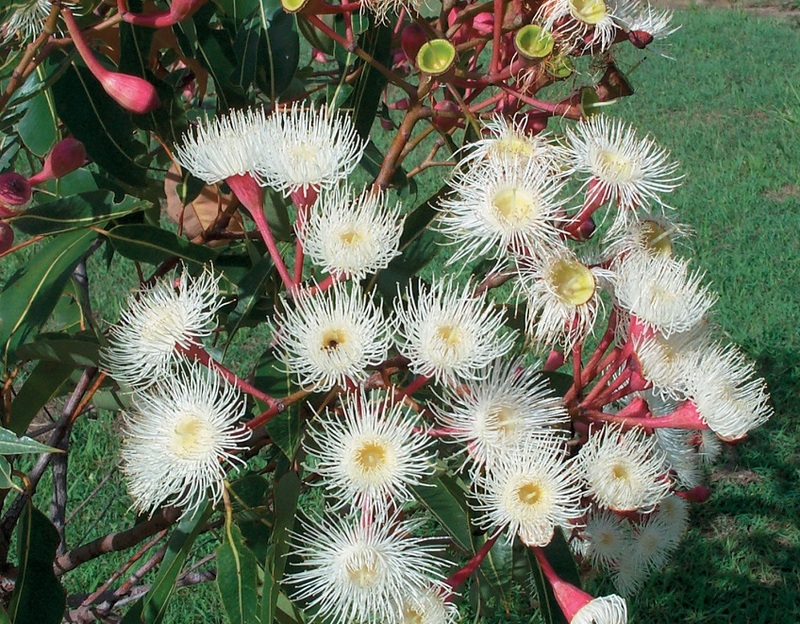 As a cut flower, Flowering gum is not long lasting. These little firecrackers, are a summer grown stock, yes, but the heat does encourage the buds to burst open exposing the brightly coloured stamens. The stamens are then quick to dry out and drop, so have your hand vac or dust pan at the ready! Gum Blossoms are unlike many other flowers in so much as they do not have petals, but rather, a collection of stamens hidden within the operculum (or cap). The blossoms attract insects and birds, so they are a gorgeous addition to gardens if you wish to attract bird life. 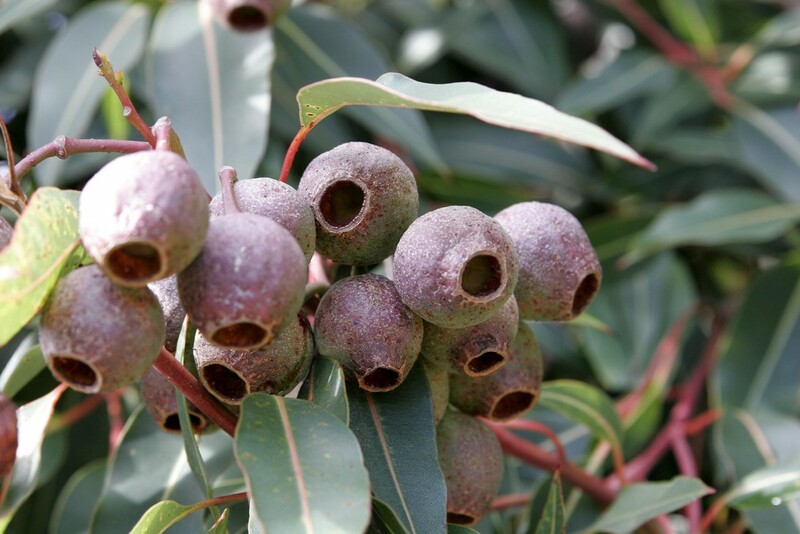 When the blossoms do not open, and are instead left on the tree, they will develop into large gum nuts which are just as attractive albeit less colourful. The gum nuts make a great dried flower too! If you are looking to create a vase full of flowers with native roots this Australia day, Florist With Flowers has plenty of fresh flowers available in store. You could choose a bright bunch of greens and golds or, talk to our friendly team about what native blooms are available for pick up or flower delivery within Sydney.